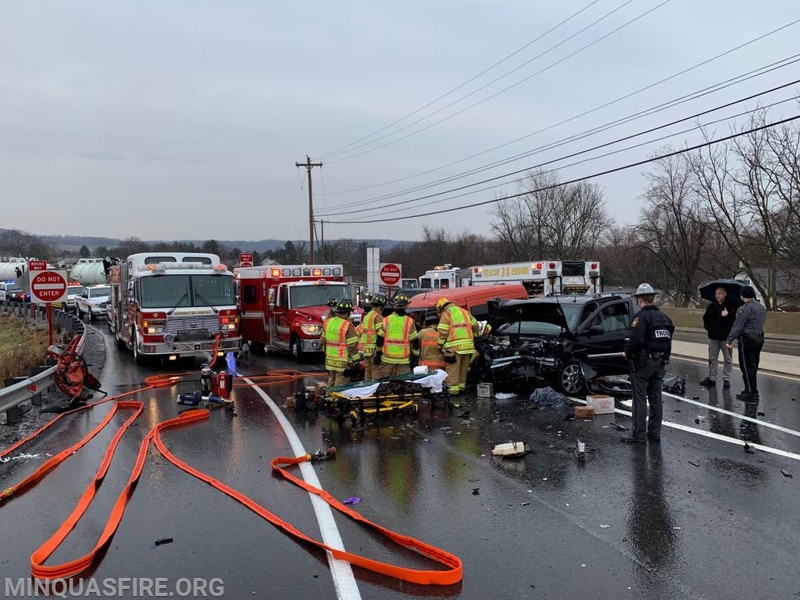 At 3:40pm, DFD fire and EMS units were dispatched to an automobile accident at eastbound Rt 30 bypass and Rt 113 in East Caln. 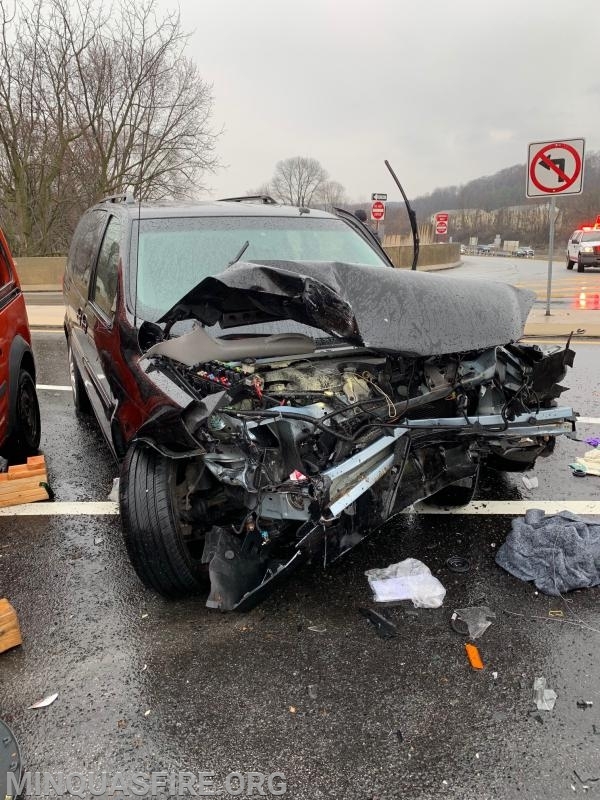 While units were responding, Chester County Fireboard advised of additional calls reporting a subject possibly trapped in the vehicle and another subject laying in the roadway. 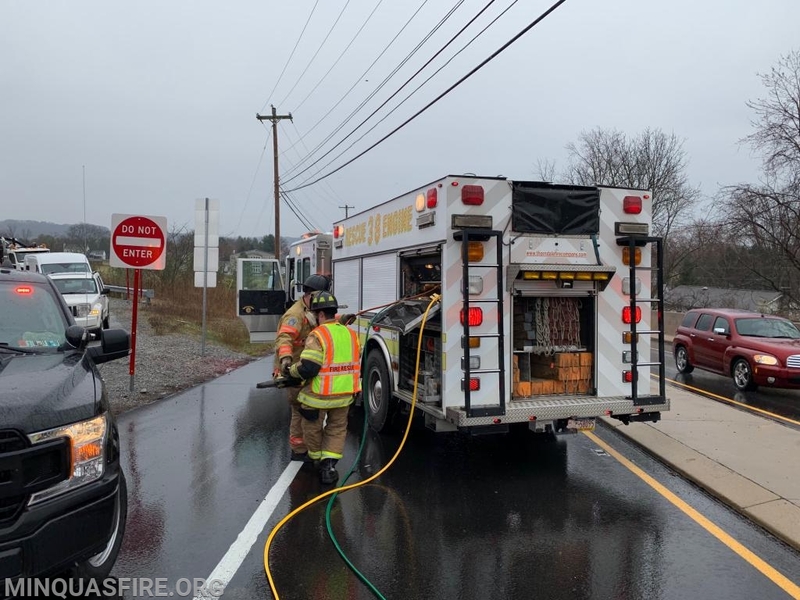 Engine 46-2 arrived on location confirming the location to be on Rt 113 at the Rt 30 bypass off ramps, with one driver heavily entrapped and a small engine compartment fire in the other vehicle involved. 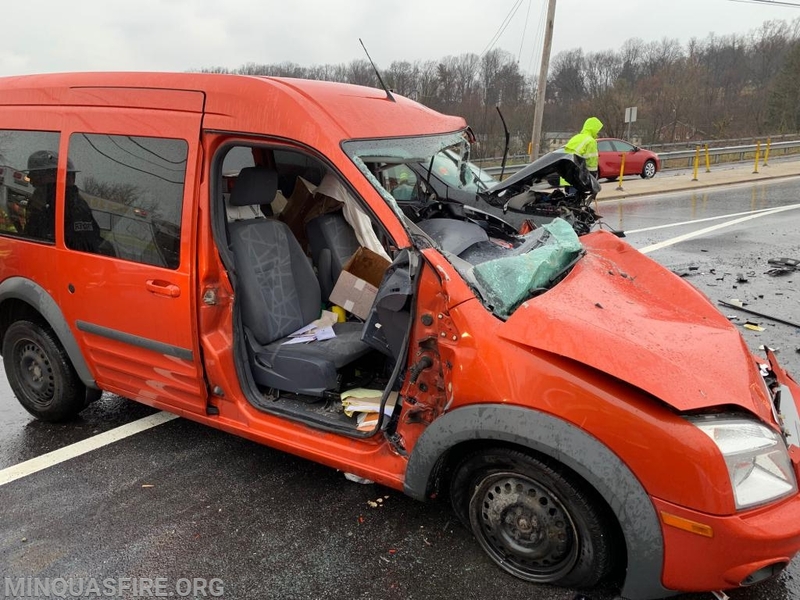 A bystander had already removed the driver of the vehicle with the engine fire prior to units arriving, and placed her on the ground. The fire was contained with a portable extinguisher, as EMS began to assess the extent of the injuries. Battalion 46 (Brooks) established "Rt 113 Command" and requested an additional rescue to assist with the extrication. 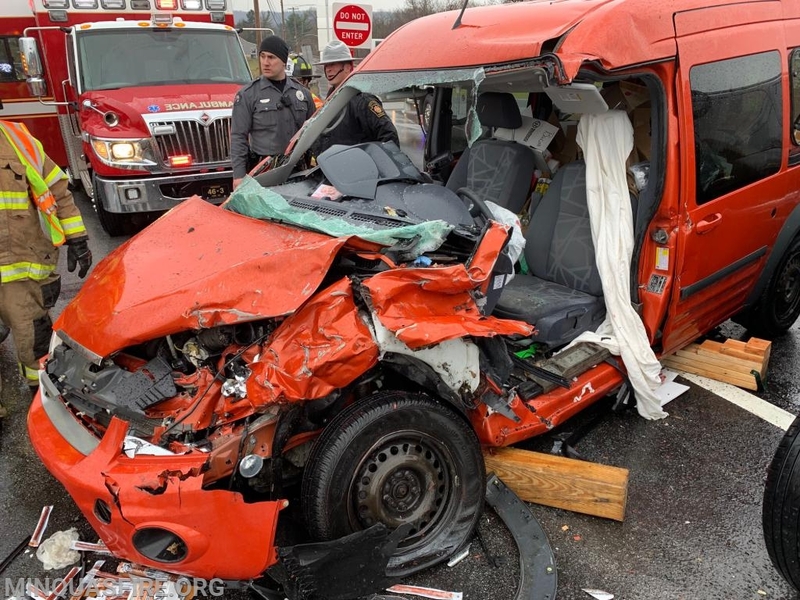 Engine 46-2's crew began removing the doors to gain access to the trapped subject, and assisted EMS with loading the other driver into the ambulance for treatment. 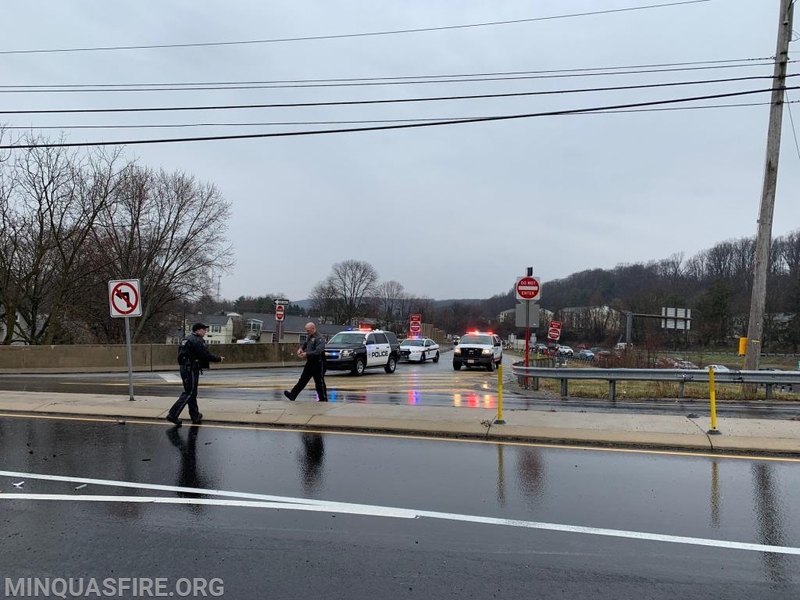 Additional fire police were requested from Downingtown and Thorndale to assist with traffic control around the scene. Additional personal arrived in Utility 46 and Squad 45, and assisted with the extrication and hazard standby with a hoseline. 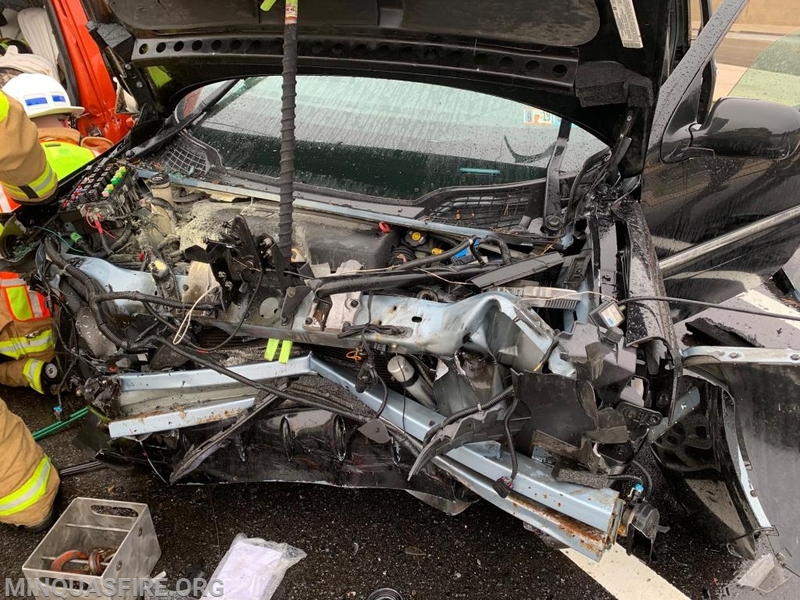 After removing both front doors, part of the roof supports, and the windshield with tools from Engine 46-2, Rescue 38 (Thorndale FC) arrived with additional equipment. 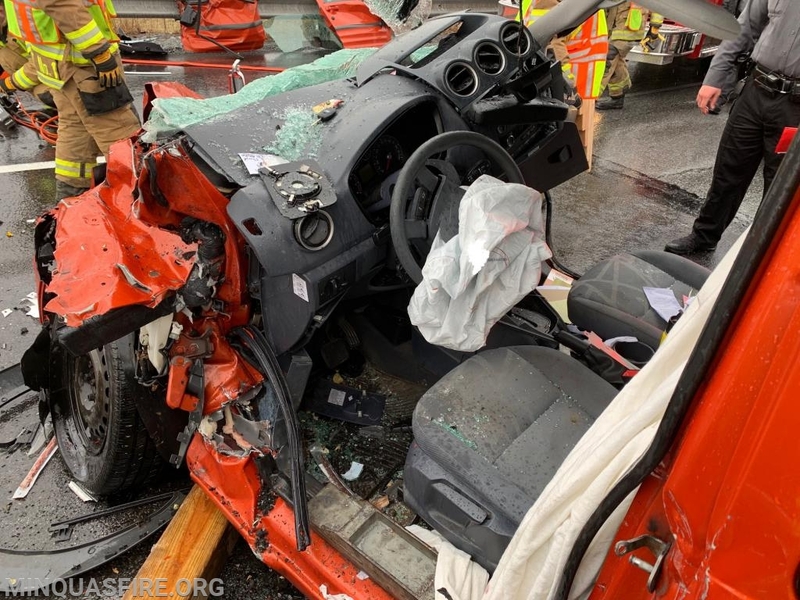 The driver's lower body and legs were trapped by the dashboard and steering column, which required hydraulic rams and a chain set up to free the victim. 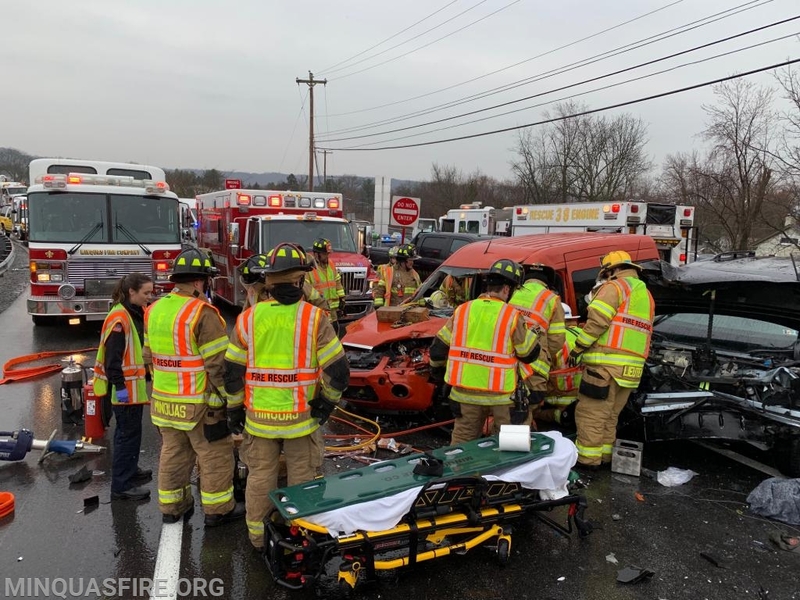 All crews worked together to extricate the victim safely, and both subjects were transported to a local trauma center for treatment. 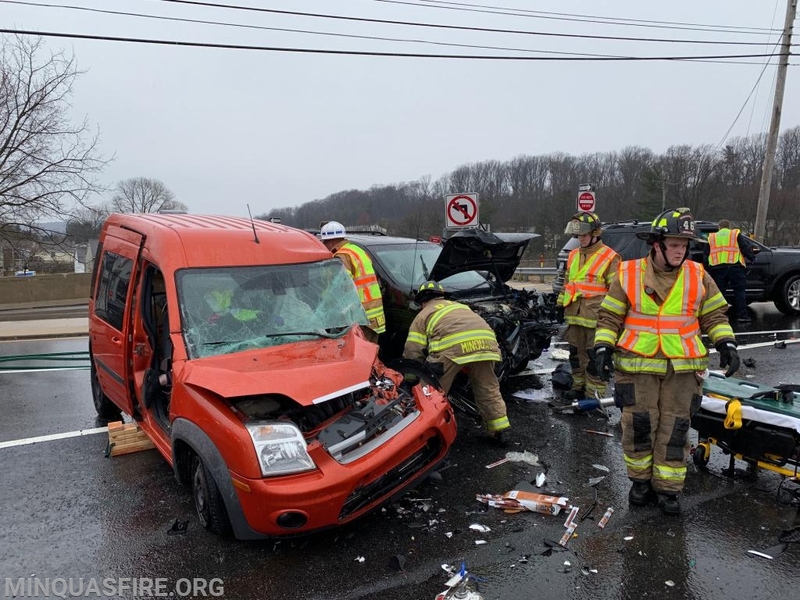 Fire units remained until the vehicles were removed and the roadway was cleared of debris. Final units returned and the roadway was reopened at 4:45pm. *Special thanks to Thorndale's fire police and rescue crew, as well as Uwchlan's ambulance crew that were in the area and stopped to assist.